The African Fish Eagle along the Chobe River, Botswana. This entry was posted in Africa, Travel, Travel Photos and tagged Africa, African Fish Eagle, Botswana, Chobe National Park, Chobe River, Nature, Photography, Photos, Travel, Travel Blog, Travel Journal, Travel Photos, Wildlife. Bookmark the permalink. OMGeeeee… you just have the most awesome photos ever. You have to share your secrets with me!!! I love this one. Eagles are just such majestic creatures. Thanks. Well the secret to this one was that the eagle was kind enough to sit still long enough. We were in a boat so we were able to get pretty close too him. And I take a ton of photos and only share the ones that turn out. Don’t worry…I have many photos of birds, trees, flowers, and such that I have no idea what they are called. I’ll have to devise a game for you. And you will help organize my photos in a way…I know you love to organize! I did bring it up and now my head is spinning. That sounds like a great tool and I’ll have to look into it. Thanks. I’ve officially added it to my list of things to do…we’ll see how long it takes for me to get to this item. You know how much I love to organize! I love eagles. 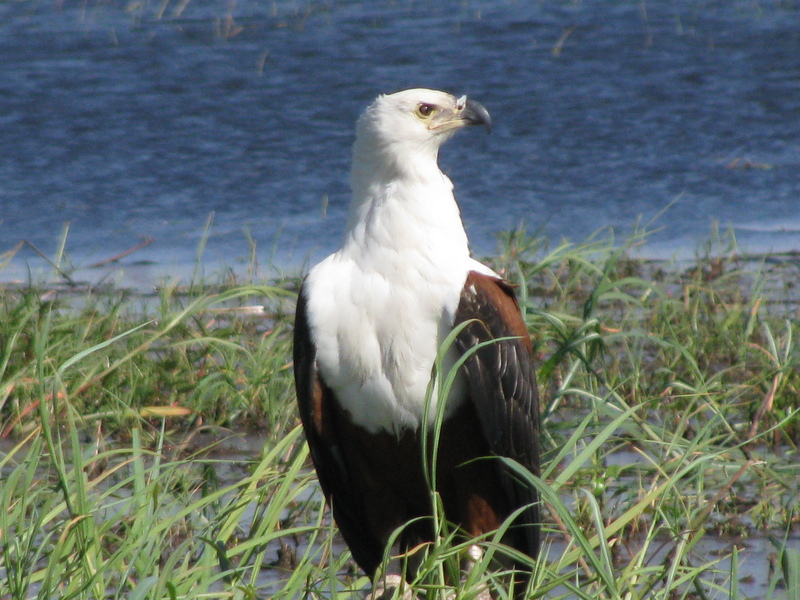 It’s interesting to read that there is an African Fish Eagle. Don’t know if I’d want to hold that little guy. He does look proud. And he should since he is marvelous. Thanks! I’ve been enjoying your photos as well! Great photo. It looks so regal.